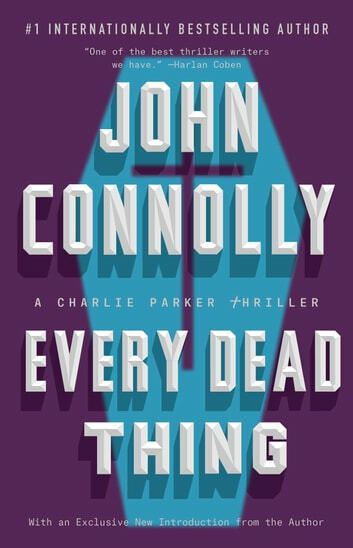 Tortured and brilliant private detective Charlie Parker stars in this thriller by New York Times bestselling author John Connolly. Former NYPD detective Charlie "Bird" Parker is on the verge of madness. Tortured by the unsolved slayings of his wife and young daughter, he is a man consumed by guilt, regret, and the desire for revenge. When his former partner asks him to track down a missing girl, Parker finds himself drawn into a world beyond his imagining: a world where thirty-year-old killings remain shrouded in fear and lies, a world where the ghosts of the dead torment the living, a world haunted by the murderer responsible for the deaths in his family—a serial killer who uses the human body to create works of art and takes faces as his prize. But the search awakens buried instincts in Parker: instincts for survival, for compassion, for love, and, ultimately, for killing. Aided by a beautiful young psychologist and a pair of bickering career criminals, Parker becomes the bait in a trap set in the humid bayous of Louisiana, a trap that threatens the lives of everyone in its reach. Driven by visions of the dead and the voice of an old black psychic who met a terrible end, Parker must seek a final, brutal confrontation with a murderer who has moved beyond all notions of humanity, who has set out to create a hell on earth: the serial killer known only as the Traveling Man. In the tradition of classic American detective fiction, Every Dead Thing is a tense, richly plotted thriller, filled with memorable characters and gripping action. It is also a profoundly moving novel, concerned with the nature of loyalty, love, and forgiveness. Lyrical and terrifying, it is an ambitious debut, triumphantly realized. I had read the second Parker book first, and think it a better book. While I enjoyed the themes explored in this book I found myself losing interest at times. It really is 2 books, and in my opinion, would have been better if they had been published separately. Too many characters and details that make this book very long to read. I found myself skipping an entire page once and wondering where this was all going. A bit too convoluted. Too many threads to try to keep straight. Although Connelly does tie them all together in the last chapters. Characters are well drawn & developed. I enjoy Louis & Angel. Does seem to be filled with more violence than I am comfortable believing actually happens in one person's life. Interesting observations of life in general Using the medium of the novel to explore the nuances of moral dilemmas & the need to justify choices of violence. Great first novel. A dark story well told. I have read a lot of John Connolly's books. A great storyteller. Talk about compulsively readable ! I found it hard to put this book down. Bird IS the word. I recommend this book for any thriller reader.